I've been doing a whole lot of this. I also haven't done much cooking lately, thanks to some amazing friends that have been bringing meals over for the last 2 1/2 weeks! Don't get me wrong, I still like to cook but it's been a huge blessing to have one less thing to worry about while we try to adjust to a new routine. That said, I have made some quick little things here and there, including these baked blueberry donuts I mentioned last Friday. 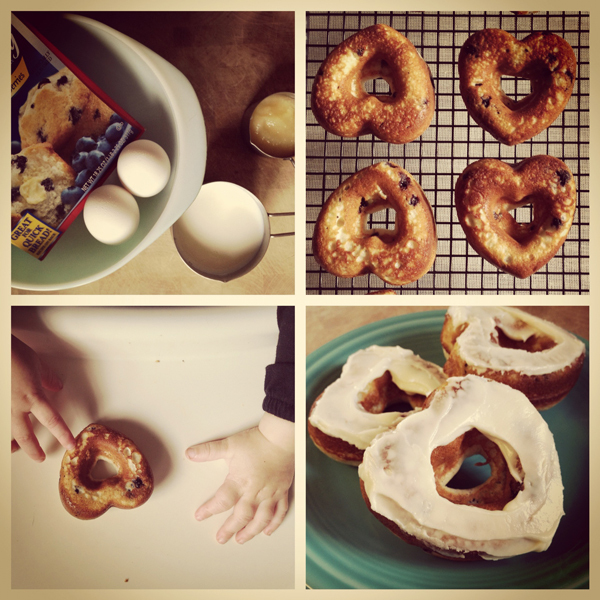 If you didn't check out Joy's blog post about her baked donuts, go now. And, if you've never tried substituting apple sauce for oil in muffin mixes, try it next time you bake. I made some quick blueberry donuts from a Betty Crocker muffin mix and used applesauce for the first time - it won't be the last. In fact, I probably won't use oil again when making those muffins. I honestly could not tell a difference. So there, I embraced the camera with Emily and embraced my oven again. P.S. Did you read the update on my sister's post about the incubator project!? Totally amazing what her readers have accomplished so far. Go check it out, and grab a tissue too. Cute pic of you and your girls! I love snuggles on the couch! Snuggles on the couch are tough to beat! Those look so good! I want a doughnut pan now! Do it, but I'm warning you they are seriously addicting. I use it almost once a week, sometimes more. i'm putting making donuts on my summer list! we haven't made any in awhile, but i just read joy's post and i already love deceptively delicious, so i'm inspired again! i'm pumped about the upcoming donut making! adorable photo of you and your girls! I just got Deceptively Delicious in the mail! I'm so excited about it and yay for summer lists! I need to do that this year - thanks for the reminder. Thanks for the info, Mari. 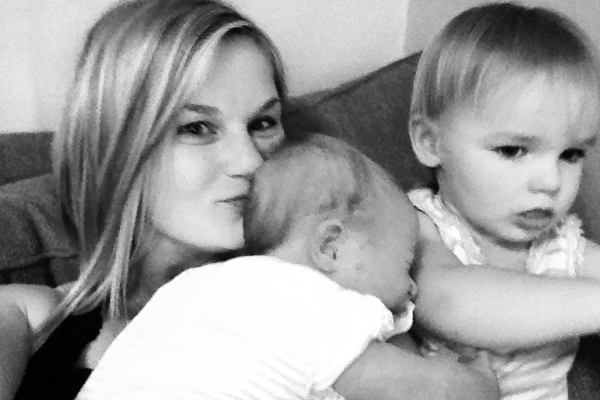 Embracing the Camera with My Girls!